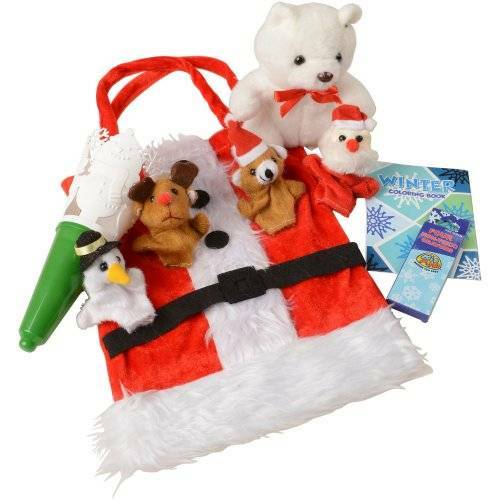 Bag measures 11" T. x 8 ½" W.
Make Christmas extra special with this cute assortment of small toys packaged in a fabric gift bag resembling Santa's suit. This assortment makes for a great party favor for your young guests or as a special delivery from the big man himself on Christmas Eve. 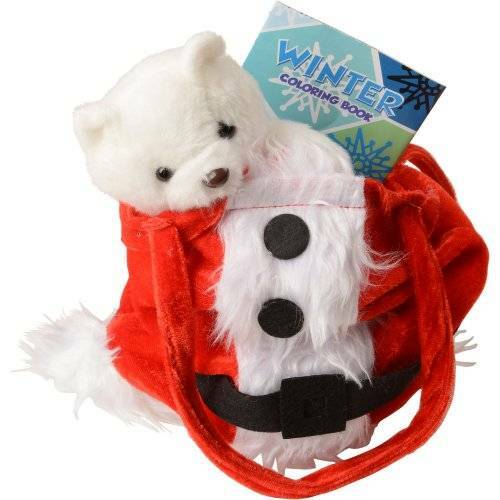 The reusable bag comes filled with small games and novelty toys, perfect for keeping kids entertained.